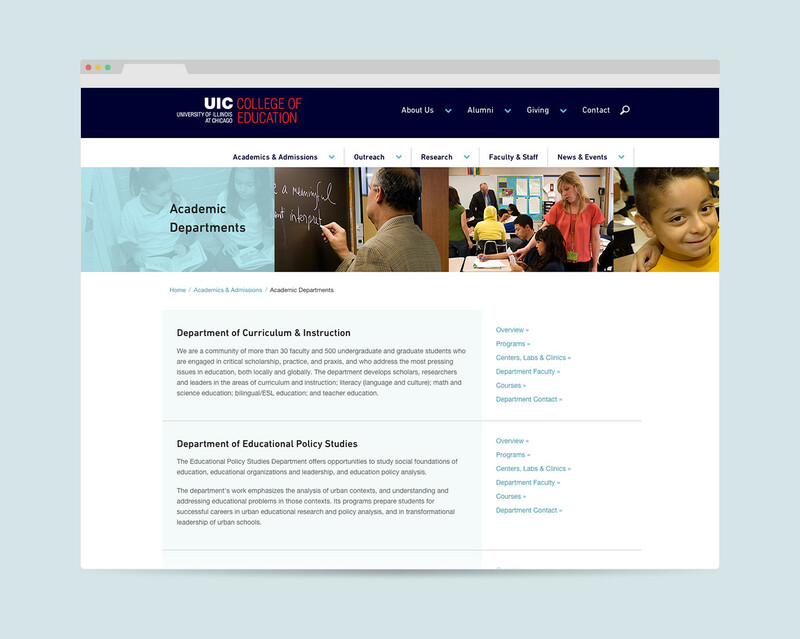 The College of Education at UIC but needed a reorganization of content and a refresh, but liked the look and feel of their previous site. 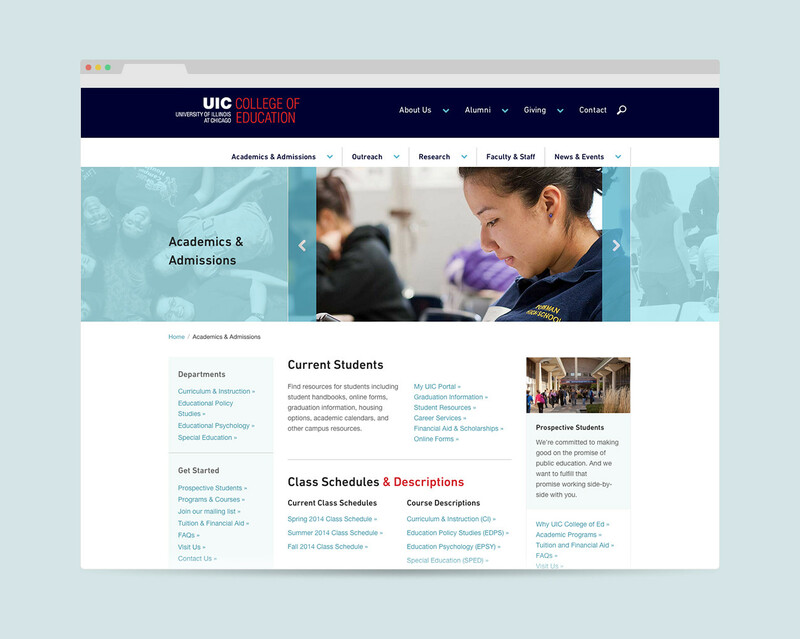 We stuck with their colors and mood, and updated their site with some fresh layout ideas, and crisp, clean typography. 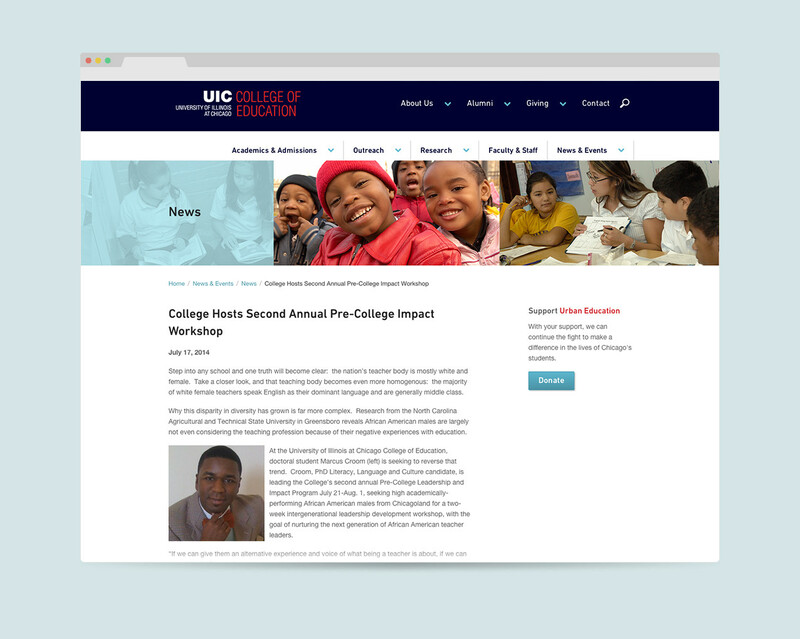 The site features a system of unique sliders that shift into view with a color change when a user focuses on the desired slider item, and whose images act as backgrounds when they’re out of view. 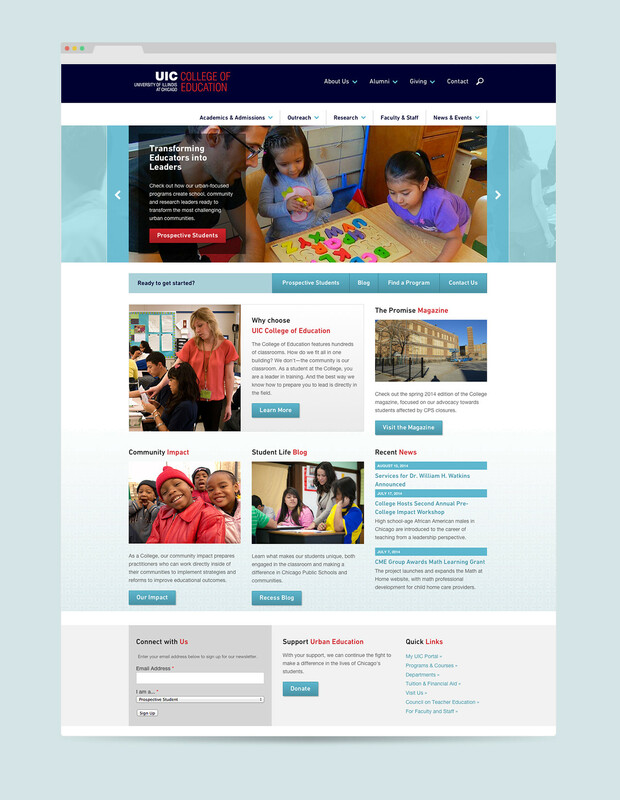 On some landing pages, the ‘background’ slider images also serve as the containers for the page titles. The style of the sliders is reiterated in the headers on other landing and content page types which adds a little bit of visual interest and color to otherwise content-heavy areas of the site.